*This post by Katie Strong was initially featured on The Neuroethics Blog. Katie Strong is a 4th year chemistry graduate student working in Dr. Dennis Liotta’s laboratory at Emory University. 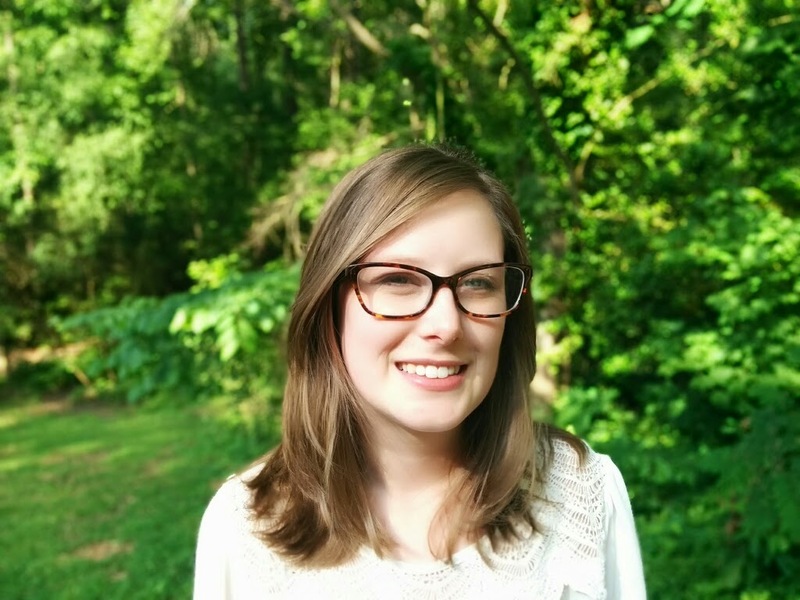 Prior to graduate school, Katie received a Bachelor of Science from the University of Mary Washington, where she worked towards the development of polyethylene glycol guanidinylation reagents for protecting alkylguanidines. Katie’s graduate school research has focused on the development and synthesis of N-methyl-ᴅ-aspartate (NMDA) receptor subunit selective potentiators to be used as therapeutic probes for the study of schizophrenia and cognitive enhancement. Katie is also an Editorial Intern at the American Journal of Bioethics Neuroscience (AJOB Neuroscience), along with a supporting editor and regular contributor to The Neuroethics Blog, the official blog of AJOB Neuroscience. The Future of the Mind, authored by physicist Dr. Michio Kaku, explores how neuroscience might inform questions that philosophers have been debating for centuries: Do we have a soul? What happens after we die? Do we even have to die? And what would it take to produce a robot with human consciousness or emotions? To explore these questions, Dr. Kaku interviewed hundreds of scientists who are actively conducting ground breaking work in labs around the world, and from these conversations he made predictions on how these scientific findings would shape our future. 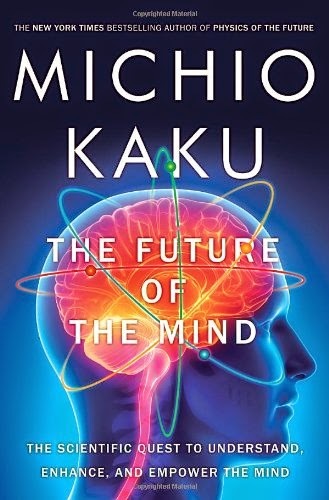 The work that Dr. Kaku discusses, such as the latest advances in brain-computer-interfaces (BCI) for the disabled,1 recording dream images with MRI machines,2 or implanting memories in mice,3,4 makes for a fascinating and engrossing read from start to finish. The Future of the Mind is at its best when taking readers through these areas of research and explaining the long-term significance, however many of the neurophilosophical questions posed are largely left to the readers’ imaginations for resolution. The Future of the Mind is divided into three parts or books, and each book delves more and more into the technology of the future and the type of society that will exist decades and centuries from now. Book I sets the stage for how important physics is for neuroscience; the revolutionary technologies such as MRI, PET, and DBS have used basic physics knowledge, as Dr. Kaku notes, to promote the explosion of advances in the field of neuroscience. The state of these technologies in current research is introduced, along with how to conceptualize consciousness, and in Book II, he discusses how these technologies will enable us to conduct acts similar to telepathy and telekinesis, manipulate thoughts and memories, and enhance intelligence. Book III revisits the idea of consciousness and explores the possibilities related to mind-altering technologies, and suggests we reframe our understanding of consciousness beyond a single type of consciousness (i.e., dreaming, drug-induced states, and mental illnesses). He also suggests that the future understandings of consciousness may move beyond humans to include robots and aliens. Book III also explores ideas straight out of science fiction such as that one day our physical bodies will be too cumbersome for travel to other galaxies through deep space, so we’ll simply leave them behind. I am a clinical neuroscience project director of the National Core for Neuroethics at the University of British Columbia, and entrepreneur in internet marketing. My primary affiliation is with the division of Neurology in the department of Medicine, but I also have an affiliation with the University of Edinburgh where I did the first part of my graduate training. I am the current leader of the Neuroethics Affinity Group for the American Society of Bioethics and Humanities, and I serve on the Communications Board of the International Neuroethics Society. My research examines issues in clinical ethics in the context of medical neuroimaging for patients with traumatic brain injury. My expertise focuses largely on assessing novel applications of brain imaging technology as diagnostic tools or predictors of patient prognosis. I graduated from my PhD last May, and then I started working in neuroethics in my current position last June. So this field is still new to me, as my one-year work anniversary will be this summer! My prior expertise was in neurodegenerative diseases like ALS and associated movement disorders along the spectrum of motor neuron diseases. I liked working in basic science during my PhD. I spent my doctoral training exploring the causes and molecular mechanisms of motor neuron death in ALS. I also looked at the potential for environmental influences on the onset and progression of ALS. My project used the mSOD1 mouse model of ALS to see if environmental factors can interact with genetic predisposition to the disease, and to delineate the directionality of motor neuron death. Throughout that time, I developed an insatiable desire to be involved in more than basic science. I grew passionate about pursuing a domain that had direct clinical applications with a high impact on health care. I spent many hours in a dark room with a microscope counting, measuring, and photographing fluorescent cells. All my work was on such a minuscule scale, and as time progressed I was yearning to see the big picture. I started to wonder what I was doing here, how my work could possibly translate to health care, to better the human condition, to put a significant dent in our lack of knowledge. Then I saw a job posting for a project lead at the National Core for Neuroethics and I jumped at the opportunity. At that time, I had never heard of neuroethics, and as I delved into the literature it grew on me. I quickly appreciated the newness of the field, its moral direction and applicability to improve health care. I also love the fact that there is a component of this work that involves connecting with people: health care professionals, researchers, the mass public, and even patients and their families. To my delight, I was chosen for this position out of all the other applicants despite my unfamiliarity to clinical ethics. I was enthusiastic to accept the challenge of tackling the steep learning curve that accompanied my re-specialization, and completed a summer certification course in clinical ethics at the University of Washington where I met Al Jonsen and Bill Winslade. I settled happily into my new role and I’m satisfied at all levels to commit the future of my career to this field. With support from the Canadian Institutes of Health Research, I investigate the development of functional brain imaging technology, and its applications (current and future) in diagnostics, informed consent, patient’s best wishes, research and treatment decision-making, and end-of-life care. In my role, I oversee the strategic direction of a Canadian-based investigation assessing social, ethical, and legal issues intersecting brain imaging and clinical health care for patients with disorders of consciousness from brain trauma. My work now is so different from when I was an ‘empirical experimentalist’. I currently work with a fabulous group of people on a team, and there are opportunities and a great need for public outreach. My work environment is clean, warming, and welcoming. I feel there is a stronger sense of collaboration and mentorship. Most importantly, my work is directly applicable to health care for the human condition, and I will see it affect health policies in the near future. There is a rapidly growing public interest in brain imaging and consciousness. I truly enjoy traveling to work in the morning. My days pass quickly because I enjoy what I do, and I am better able to achieve a good work-life balance. In parallel to my neuroethics side, I write recipes and recommendations for my food blog that currently has a global outreach. I am a co-founder of Krimson Marketing, a consulting firm to help business leverage proven marketing systems for dramatic growth. I launched these initiatives during my PhD as a way of generating a passive stream of income. I’ve always been independent and a compulsive organizer. It comes with my background of having been completely on my own and self-funded at the age of 11. In my self-reflection, I think I’ve always lived by the “play hard, work hard” motto, although not always in that particular order. The serenity during my childhood and adolescence has been peppered with many tragedies and challenges. Throughout these hardships, I found my direction with clarity and focus on my education, allowing myself to dream, and being true to my desires and values. My wide ranging experiences combine to help me relate to people who come from various backgrounds and have taught me to empathize more and judge less. Fortunately, like all good things, a trail of misfortunes also comes to an end. I eventually found a way to unite my passions with my values in my career, I married into an amazing family, my husband and I live in a lovely new condo in Greater Vancouver Canada, and we sponsor two young orphans in Uganda who refer to us as their parents. And I never stopped dreaming. I have a long list of personal dreams that I can recall at a moment’s notice without the aid of a diary, which I call my unfinished business. I dream of being fluent in Japanese and piano, being licensed to operate a plane and motorcycle, publishing an autobiography and a cookbook, having a kitchen large enough for my hobbies, and, quite literally, traveling the world. 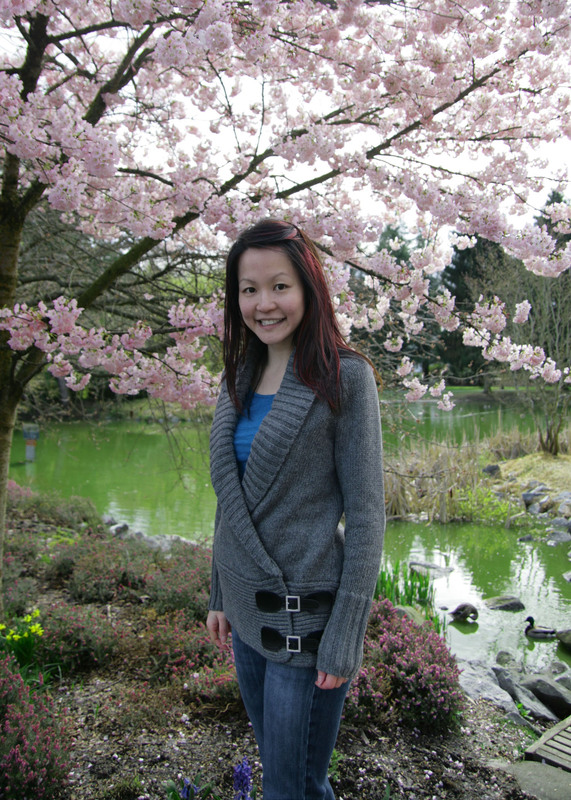 You can find out more about me or connect with me at my professional portfolio, drgracelee.ca.